The recent deranged attack by a bulk market bogster is part of a long-standing pattern of attacks by self-interested parties from the low-end translation bog and other exploiters and charlatans seeking to sell their sleazy interests to trusting professionals and turn these against their own. I am long familiar with such things myself, for example with the recent threats received, in public and in private from the I Am That I Am of translation, His Hendzelness, for discussing questions about Translators Without Borders and its sometimes dubious practices (more on that to come), questions which may have influenced the resignation of that organization's head as the evidence mounted, but Mr. Chiosso's illegal and unethical campaign aggainst IAPTI's president and its members raises the ante to a new level. And the silence so far from certain pundits and some other professional associations is deafening. IAPTI Member Paula Arturo, a translating attorney, has written an post titled "Defamation or Freedomof Expression? Can Translators Share Bad Practices Info Online?". It is worth reading. I applaud the sound ethical instincts of the New England association, the first to show backbone in standing up beside another organization and its president to prevent cancers like this from spreading. Like the recent action from the ITI in the UK, begun under its former chairman, my esteemed colleague Nick Rosenthal, and which finally resulted in the conviction of a deceiving translation agency operator who defrauded his suppliers - translators - of large sums, this is the sort of thing where we all need to stand against the criminals. Not support and promote such practiceZ as some do. 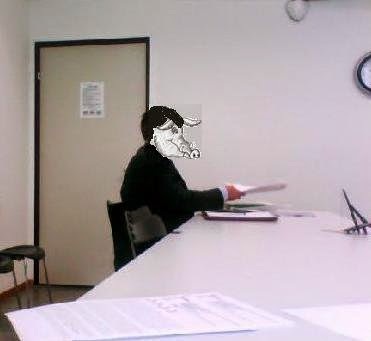 I took the picture above in a Swiss courtroom a few years ago, where another infamous bogster and defaulter on payments owed to translators sued me for daring to discuss his unethical practices on this blog. The costs awarded to me in that action remain unpaid to this day. But let's hope that the same graphic could be used soon to report the fate of Mr. Chiosso, who most definitely belongs in the dock. And on that day, we shall see who stands for free, honest expression and the rule of law in our societies and who remains... silent.